Rev. 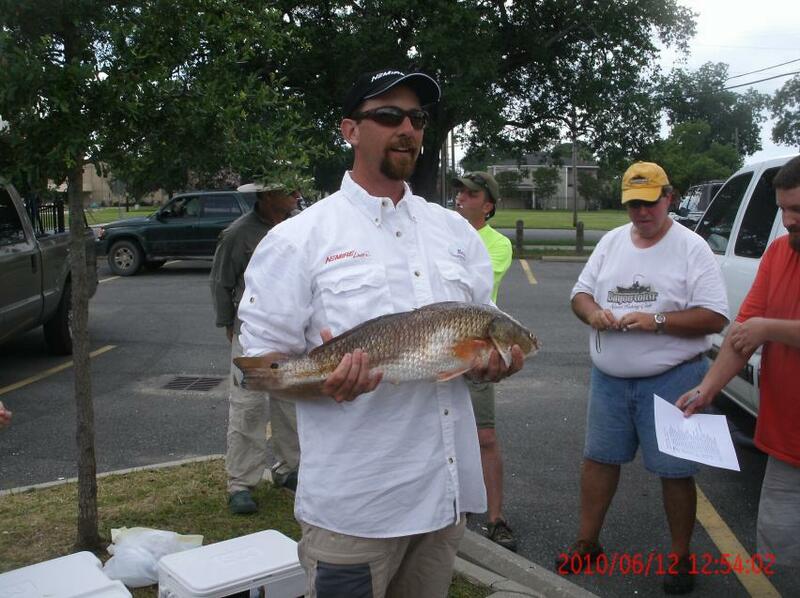 Redfish Retreats: 2nd Place again! I'm just blown away by my second place finish at the Redfish Rumble the first place stringer was simply an amazing 33+ lbs that means the average size of his fish was over 6lbs. A tournament "slot" red might get up to 9lbs but few outside of the pros in power boats nail that and they only catch two fish for their tourneys. I had a respectable 23.3lbs and my top two fish were over 6lbs. I am really happy with the performance of Nemire's Gold Ripper Spoon that picked up 6 of the 8 fish I caught that morning. The other two were: one on a gulp shrimp and another spoon that I used only when my Spin Ripper's reel broke down on me - the spoon outlasted the reel that day! I've been told when you google fishing in my area my site comes up so I will begin to work on some fishing reports and other helpful hints - let me know what you want to know and I'll share what little knowledge I have.